M-Power Accommodation has a selection of high quality hotel venues that can provide extensive conference and meeting facilities, professional support staff and excellent accommodation. If you are looking for a relaxed and quiet location for your next conference or business meeting look no further than the areas of Regional Victoria. 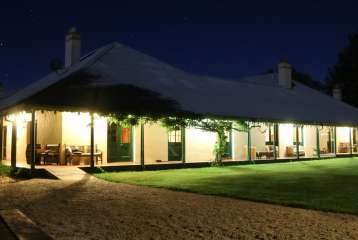 From the picturesque seaside towns of Lorne and Torquay to the mountain region of Macedon Ranges and the beautiful Yarra Valley and Warrnambol, there is a location and venue to accommodate your needs. Most of these locations are only a couple of hours drive from Melbourne's city centre offering quality accommodation with modern conference facilities. Holding a conference in a regional area allows conference organisers to have a totally self-contained residential conference without the 'big city' distractions - delegates will also enjoy the opportunity for a relaxing and refreshing change from the high pressure city atmosphere. An excellent selection of extra-curricular activities are also on offer in regional areas, from picturesque country golf courses to bush walking, cycling, fishing, boating or just a quiet spot under a tree to conduct team building exercises. RACV Healesville Country Club in the heart of the Yarra Valley offers a wide range of accommodation, leisure, conferencing and event facilities in a beautiful rural setting just over an hour from central Melbourne and the CBD. Each of its five restaurants and bars as well as many of its guestrooms have sweeping views of the surrounding countryside and there is much to offer in the way of diversion and corporate/team activities. Located beside a river in the picturesque hills of of Victoria’s Yarra Valley region, Marysville has long been a favourite holiday and conference destination. The event rooms are contemporary and comfortable; designed to energize and invigorate. The rooms feature natural light, flexibile size and configuration options, first-class audio-visual technology and complimentary high-speed internet. 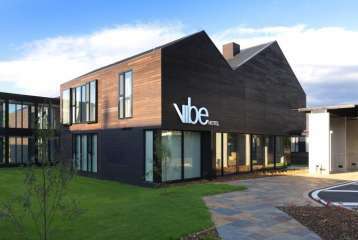 The scenery and relaxed charm of the area make the Vibe Hotel Marysville perfect for your next meeting or conference. Flowerdale Estate offers conference organisers a unique, boutique, rural retreat and conference venue less than 90 minutes drive from Melbourne CBD and around 1 hour from Melbourne Airport. Accommodation is spacious and comfortable, meeting rooms offer natural light and the estate features plenty of on-site activities. 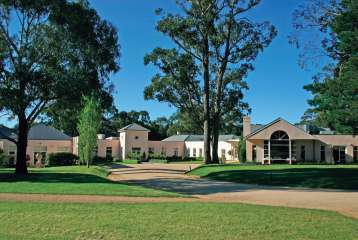 Flowerdale Estate is a great location for your next management training or team building program. Silverwater Resort Phillip Island is a high quality hotel resort and conference venue just 90 minutes from Melbourne and providing conference organisers with a unique location for a conference, training seminar in a resort environment. Silverwater Resort offers a selection of accommodation options from Resort Rooms to self-contained Apartment style accommodation and leisure activities including tennis courts, Indoor lap pool, outdoor pool, spa, steam room, gymnasium, billiards and table tennis. 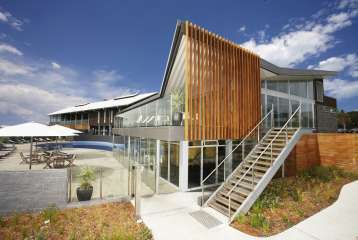 Silverwater also provides on-site Restaurant, Bar and guest lounge. 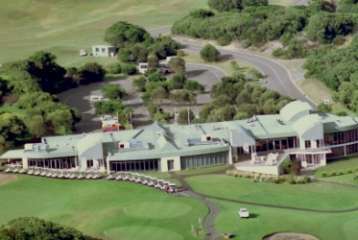 Peppers Moonah Links Resort is located on Victoria's Mornington Peninsula which is well known for its wineries, restaurants, art galleries & antique shopping along with fantastic rural and coastal scenery including the popular Phillip Island. Peppers Moonah Links Resort and Conference Venue is 90 minutes from Melbourne CBD and features extensive purpose built conference facilities along with stylish contemporary apartment accommodation. 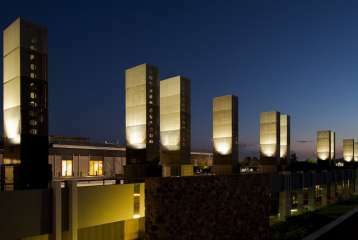 Close to Melbourne and just over an hour from the heart of the CBD via a scenic coastal drive, RACV Cape Schanck Resort is situated in the stunning and rugged south of the Mornington Peninsula. 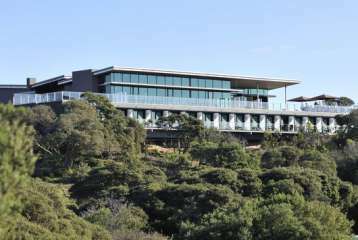 The guest rooms and conferencing suites sit high up on the headland overlooking the Bass Straight and the Mornington Peninsula National Park. The contemporary, state-of-the-art and flexible meeting spaces cater for up to 250 and these beautiful and impressive surrounds offer an invigorating break from the city-workplace. The sea air and scenery makes for a creative and purposeful mindset in your delegates, as well as a setting they won’t soon forget. 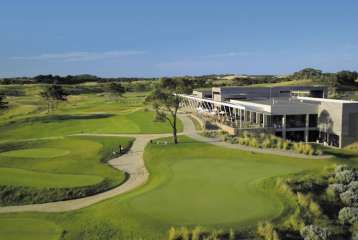 With several 'Resort of the Year' awards and a place in the Victorian Tourism Awards’ ‘Hall of Fame’, RACV’s Inverloch Resort on the Bass Coast is a well established favourite with conference organisers and event planners all over the world. The site spans more than 30 hectares and its low impact and eco friendly architecture is crisp, modern and dramatic. It manages to blend harmoniously with its setting whilst boasting uninterrupted 180 degree views of the Bass Coast from two storeys of floor to ceiling windows. Each of the meeting and event spaces on offer here, as well as the extensive grounds available, benefit from the stunning scenery, peaceful location and seemingly endless flora and fauna of the area. Atura Dandenong is located in an outer suburb of Melbourne tucked away in the hills of the lovely Dandenong mountains just 30 km from Melbourne CBD. 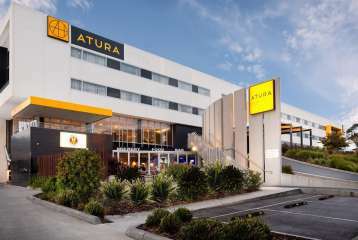 The 4.5 star Atura Dandenong is a contemporary hotel and conference venue with a unique style and vibrant character. The hotel venue boasts quality features and amenities, great service and excellent value for money. 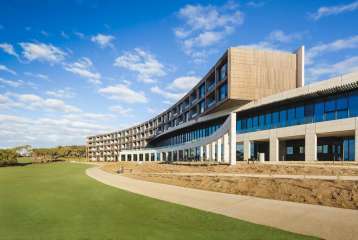 The Mornington Penninsula is a popular destination for conference organisers and meeting planners, beautiful, relaxing, inspiring and within easy reach of Melbourne CBD, Mercure Portsea offers a high quality venue, modern accommodation, meeting rooms with natural light and great value. The property also features a golf course and plenty of opportunities for Team Building.